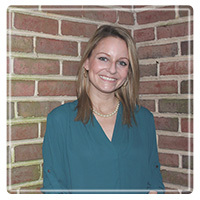 Bethesda Therapist: Meghan Renzi - Therapist 20814. Send A Message To Meghan. Are you struggling with thoughts that you aren't good enough? Do you sometimes face paralyzing anxiety in social situations? Do you feel like growing up shouldn't be this hard? Welcome and give yourself a pat on the back. Taking the step to consult with a therapist can be a scary moment! Maybe you are thinking “Why am I doing this anyway?” or “I should be able to handle this”. Often times we feel like we have to push through the hard times alone. The truth is growing up can be tough. Maybe you just finished college and you are now living on your own. Or maybe you are still in high school and feel like you can never get a break from the anxiety and drama. Whether you are having trouble with independent living or just feeling stuck, you CAN ask for help. Most people in this world have had support along the way. You have been trying to do this on your own long enough and it is not working. I primarily work with adolescents (middle school to high school) and young women dealing with life changes. I enjoy the work I do with adolescent girls who are struggling with low self-esteem and women in their twenties who feel stuck. Please do not hesitate to reach out if you are dealing with any of the issues listed below. What if you felt confident in the choices you made? What if you looked in the mirror and actually liked the person you saw looking back at you? What if you felt excited about your future? It is possible! I have seen clients find confidence processing events in session and learning new coping skills. Using a cognitive behavioral approach to therapy, my clients learn to use the tools needed to reframe stressful situations. In addition to CBT, I teach mindfulness techniques including meditation, yoga and other activities that can bring you back to "the now”. Having extra support can be a game changer at this critical point in your life so what are you waiting for? Call me today for a free 15-minute phone consult.